When I was roaming the world as a foreign correspondent, I spent hours and hours talking to American ambassadors in places like Tokyo, El Salvador, Vietnam, Cambodia, Peru, Mexico, etc. The list goes on and on. Most of them had extensive knowledge of the countries in which they represented the United States. His successor, Michael H. Armacost (1989-1993), was the former ambassador to The Philippines; a member of the National Security Council to handle East Asian and Chinese affairs, and was acting Secretary of State. When you had a conversation with either of these men about Japanese-U.S. relations, it was substantive. 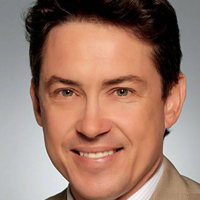 · New Ambassador to Hungary Colleen Bradley Bell, 47, a soap opera producer (The Bold and the Beautiful), Obama donor ($800,000) and bundler ($2.1 million) for his campaigns. · New Ambassador to Argentina Noah Bryson Mamet, 44, a political consultant and bundler who raised $500,000 for Obama’s presidential campaign. Neither of America’s newest ambassadors have any significant knowledge of the countries they will be working in and neither distinguished themselves during Senate confirmation hearings. MCCAIN: So what would you be doing differently from your predecessor, who obviously had very rocky relations with the present government? MCCAIN: My question was, what would you do differently? MCCAIN: Obviously, you don’t want to answer my question. Mamet also conceded that he speaks no Spanish and has little or no knowledge of Argentine history or politics. And so it goes. The truth is that both Bell’s and Mamet’s appointments are just another example of the Washington game which rewards campaign donors and friends of the president with ambassadorial positions. By recent historic standards, Obama is already pushing the ceiling when it comes to putting friends and campaign supporters in U.S. diplomatic posts. According to research by the American Foreign Service Association, 35 percent of Obama’s assignments have been political appointments. But in his second term, the number has grown to 41 percent according. The AFSA union represents career diplomats and wants more strict enforcement of a 1980 law that says campaign donations may not be considered a qualification for any foreign posting. Whoops! Somebody in the White House must have forgotten that. Ditto the Senate. But wait, the confirmation votes for Bell and Mamet were along strict party lines. So forgetfulness was not a factor. I was thinking that I were still roaming the world as a foreign correspondent, what could I talk to Ms. Bell about if I were writing about Hungary? It’s oppressive form of government? Nah. It’s sick economy? Nah Corruption in the government of PM Viktor Orban? Nah. And I could walk away with a reporter’s notebook bulging with news.